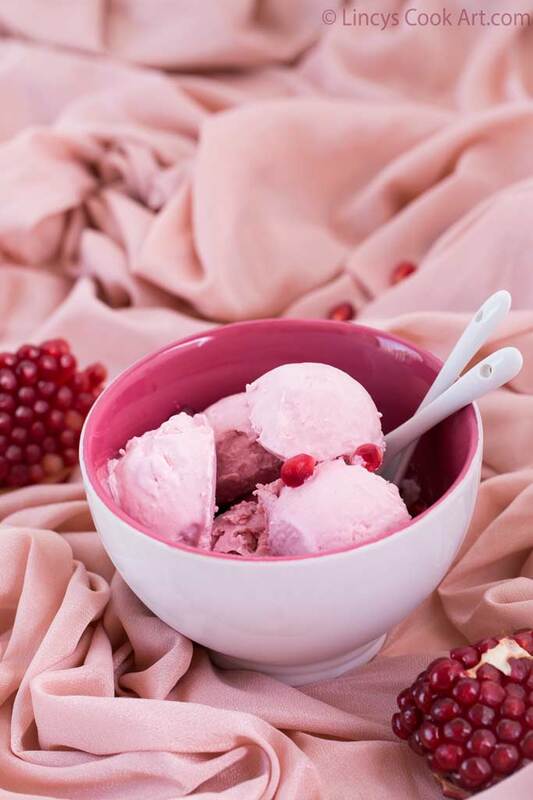 Eggless Pomegranate Ice cream| No churn pomegranate ice cream is a easy dessert which perfectly suits Valentines Day. 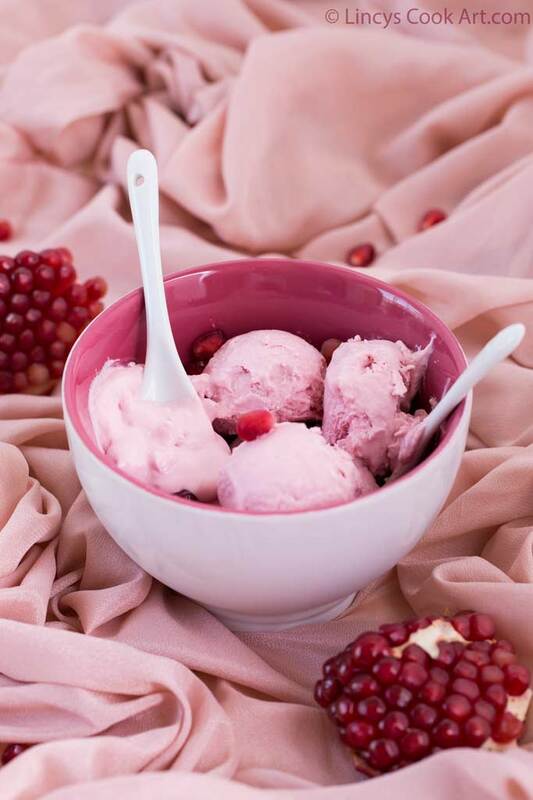 The pink colour icecream with the deep ruby red pomegranate seeds an ideal treat for eyes as well as for taste buds. I have not added any extra flavouring for this ice cream. You could add lemon zest or vanilla or rose essence for extra flavour. 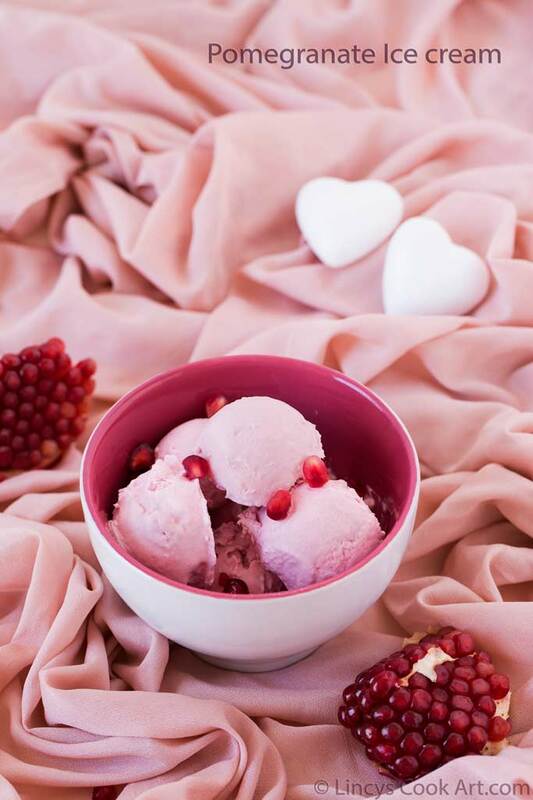 Try this dessert for this Valentines Day!! 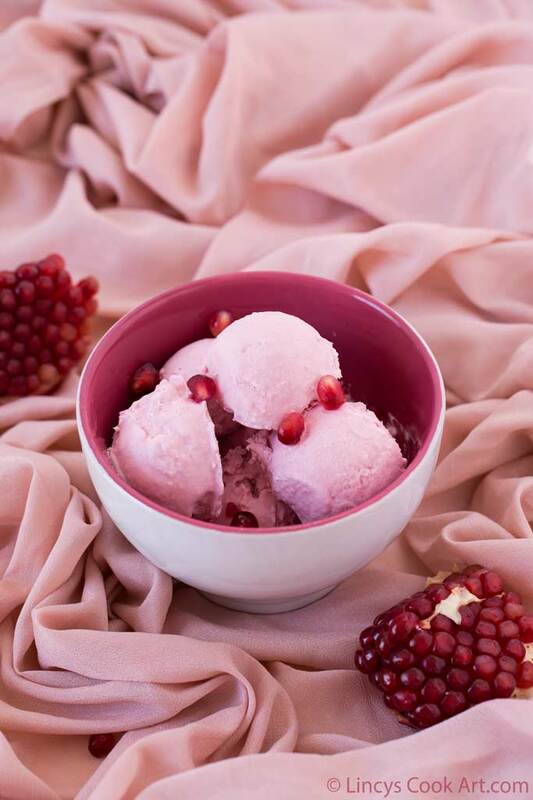 In the blender add the pomegranate seeds and blend to make a paste; strain to extract only the juice. In a bowl add the cream and start to whip once it starts to form soft peaks add the sugar little by little according to your required sweetness. Add the pomegrante juice and flavouring of choice and whip till the mixture gets a smooth creamy pale pink colour. Transfer it to a airtight container and freeze for 2 hours. Remove the ice cream from fridge and whip the frozen ice cream with electric beater for a couple minutes and keep into the freezer. Repeat this process 3 times at regular intervals to prevent the crystal formation and to keep the ice cream creamy. 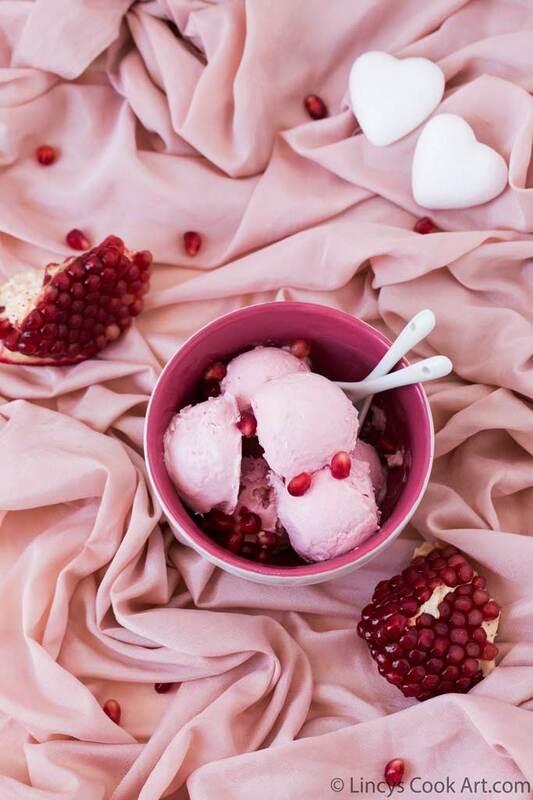 Wow pomegranate ice cream looks delicious. Nice clicks.